From the town of Oakely, Idaho, head east on Main Street which eventually veers southward and becomes Birch Creek Road. 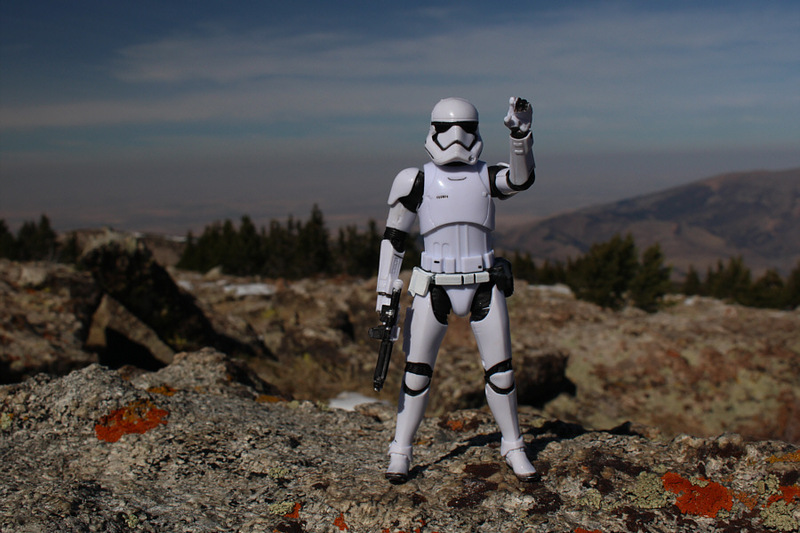 Drive south for about 20 kilometres to the junction with Emery Canyon Road which is the access to City of Rocks National Reserve. Turn left and drive eastward for about 2.4 kilometres to a junction with Forestry Road 562. 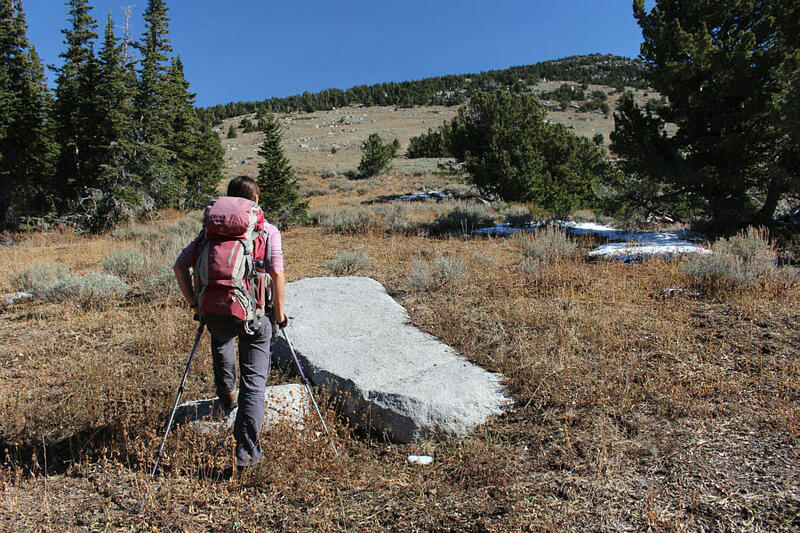 Turn left again, and climb steadily past some campsites (fee required) near Finger Rock; there is an outhouse here. The road eventually levels out but starts to get narrower and rougher. Ignore all side roads. About 10.7 kilometres north of the outhouse, the road crosses a cattle guard and turns sharply to the right. The next several hundred metres are probably the roughest parts of Forestry Road 562, and a high clearance vehicle is almost a necessity to drive this section. 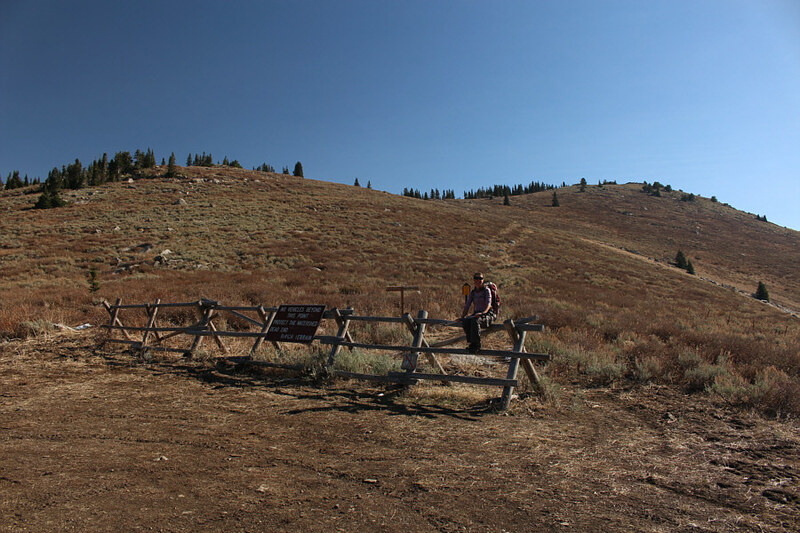 The Independence Lakes trailhead is another 3.4 kilometres past the cattle guard. The access road turned out to be a bit too rough for my liking once we passed the cattle guard described above. After scraping the bottom of my car a couple of times, I opted to park about three kilometres short of the trailhead, and Zosia and I walked the rest of the way there. Beyond the trailhead, we followed the trail to Independence Lakes for about 1.5 kilometres before losing it under some surprisingly deep snow cover lingering in the shade of trees. 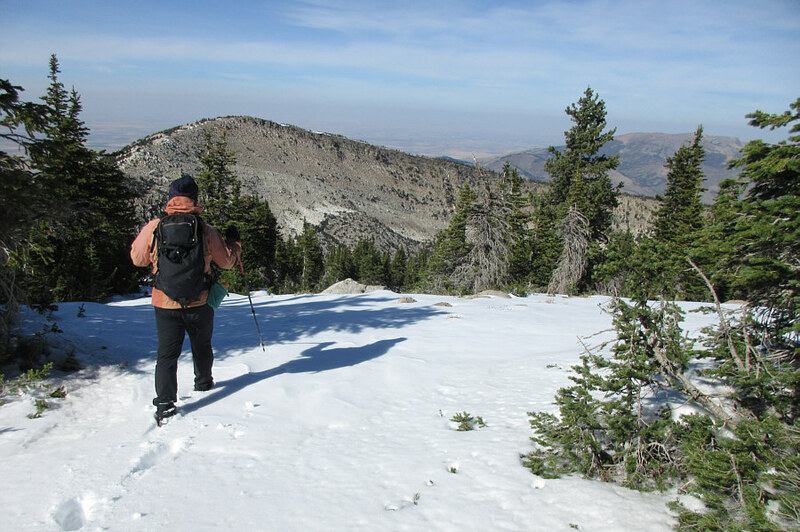 We tried to steer clear of the unsupportive snow as much as possible as we continued off-trail along the ridge toward Cache Peak. 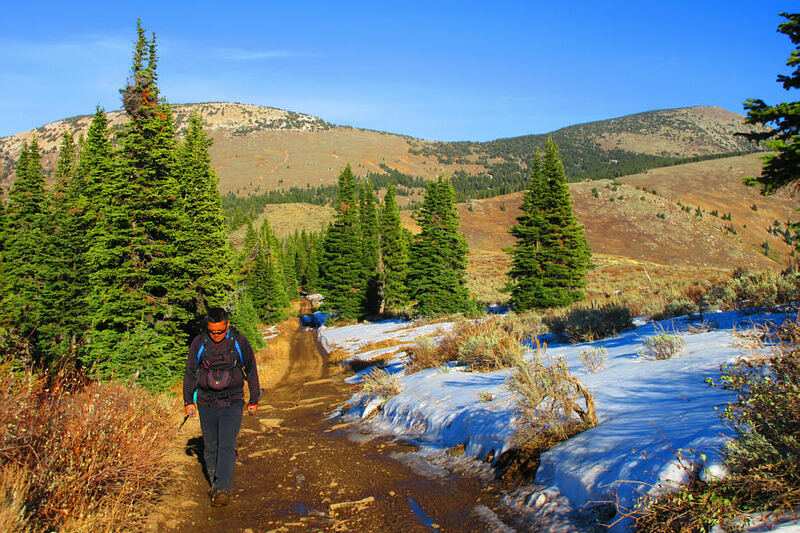 Higher up, we encountered more snow on the forested ridge, and although it would have been possible to avoid the snow by sticking to the fringes of the forest, the complexities of the steep and rocky terrain here made travel even more tedious and difficult. Post-holing through snow proved to be the lesser of the two evils. 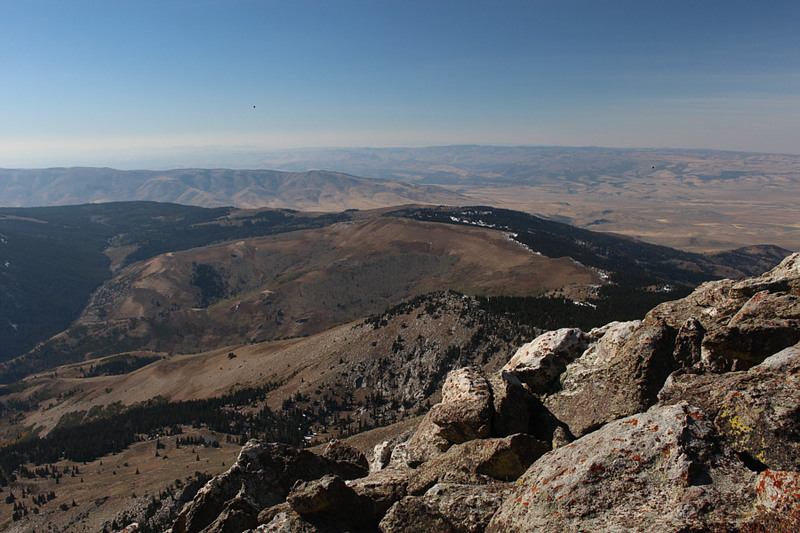 With some difficulty, we eventually made it up to the summit of Cache Peak and took a well-deserved break before turning our attention to Mount Independence. 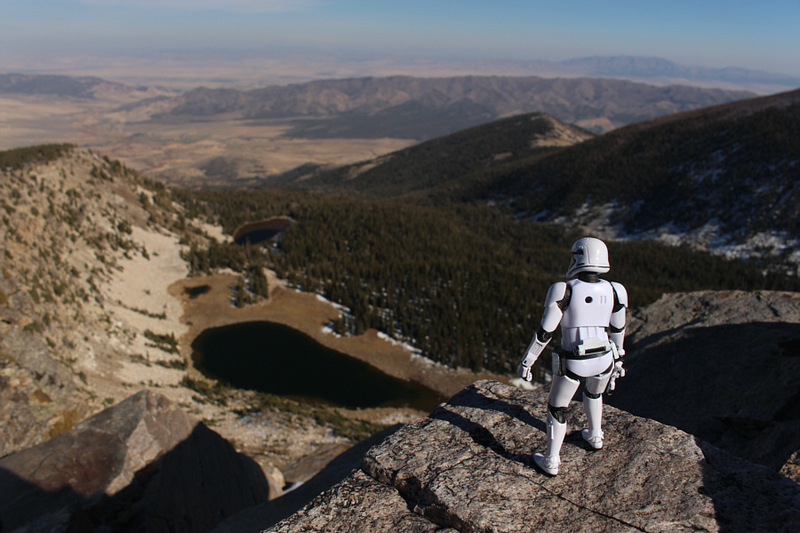 Sonny looks at the roughest part of the access road with disgust after leaving his car behind well short of the official trailhead. 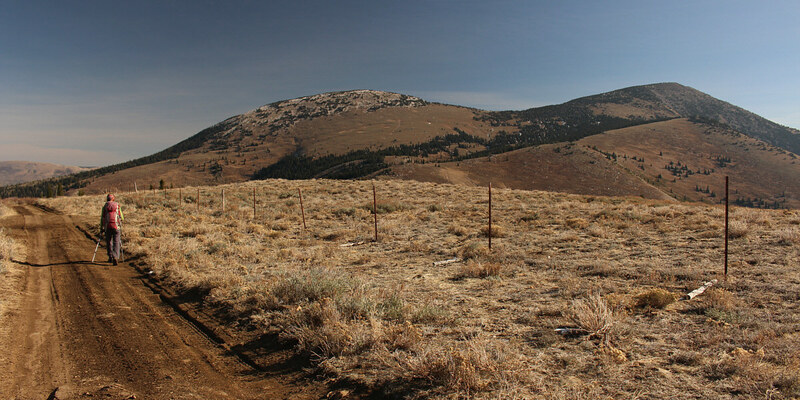 The access road follows a fence line along the open ridge. Mount Independence (left) and Cache Peak come into view along the access road. After leaving the access road prematurely, Zosia bushwhacks along the fence line. The official trailhead is just beyond the next rise while the trail to Independence Lakes can be seen running up the next ridge. Zosia takes a rest on a fence at the trailhead. 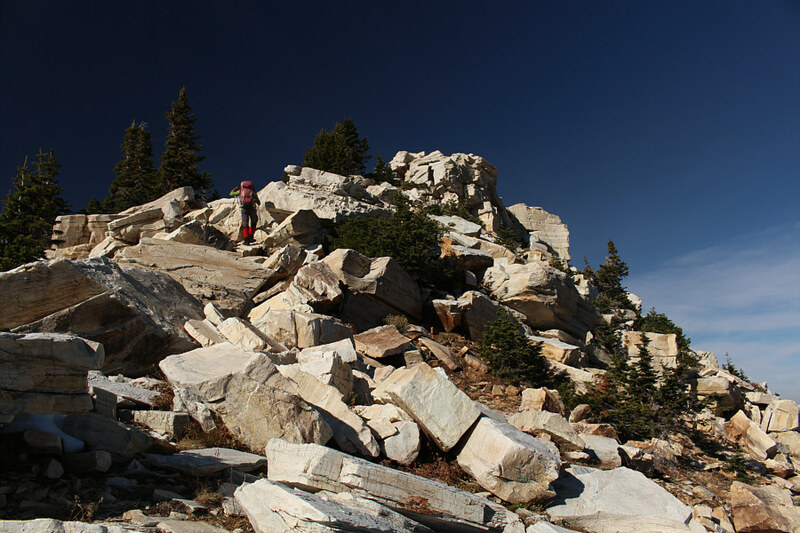 Zosia hikes the trail that leads to Independence Lakes. Cache Peak is visible at left. 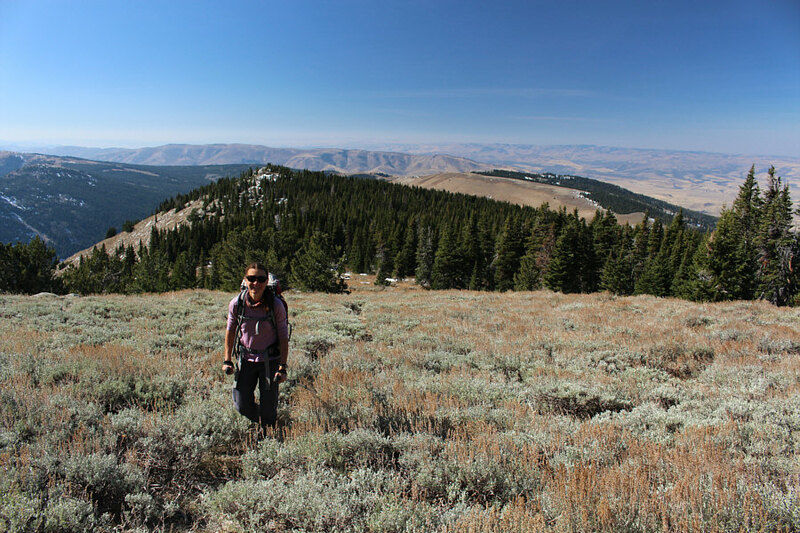 After losing the trail, Zosia works her way through light bush toward Cache Peak. Zosia scans the open slopes ahead looking for bears. The open slopes are actually quite bushy and not so simple to hike up. Although not visible in this photo, there is deep snow which hampers progress in the trees to the left. 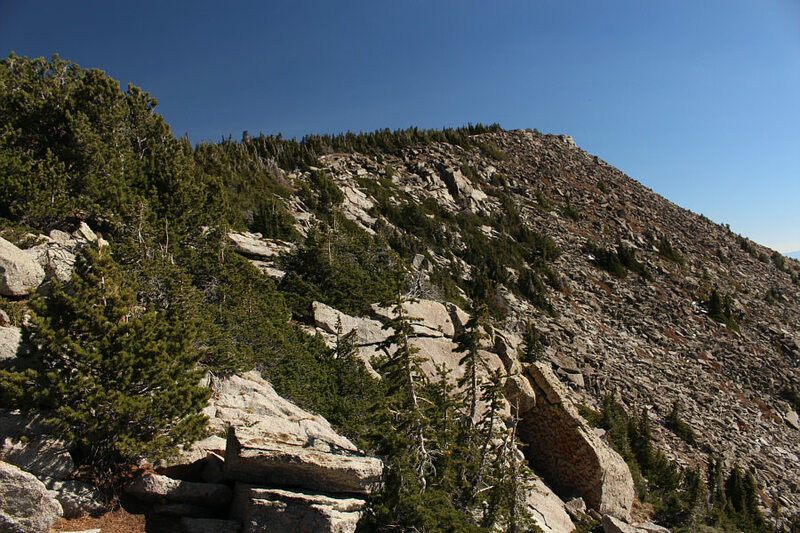 The rocky sections to the right are steeper than they appear and are not easy to climb. 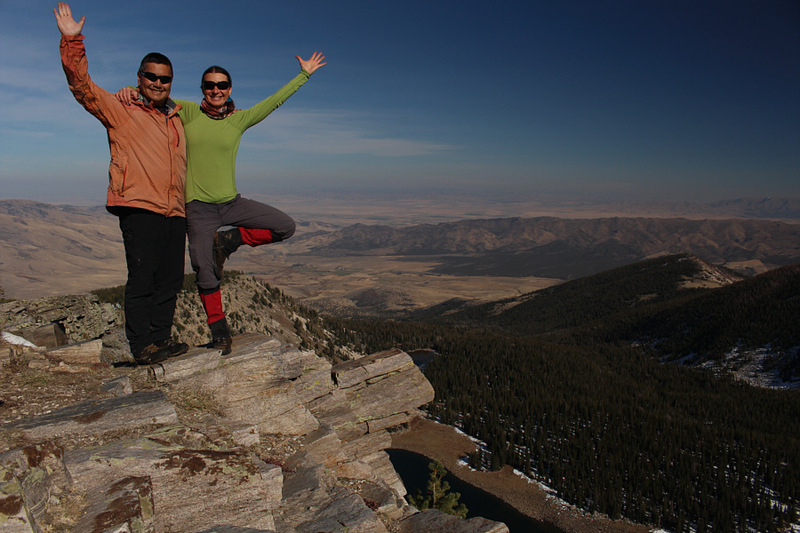 After a bit of a struggle climbing the west ridge, Sonny and Zosia finally make it to the summit of Cache Peak (3152 metres). 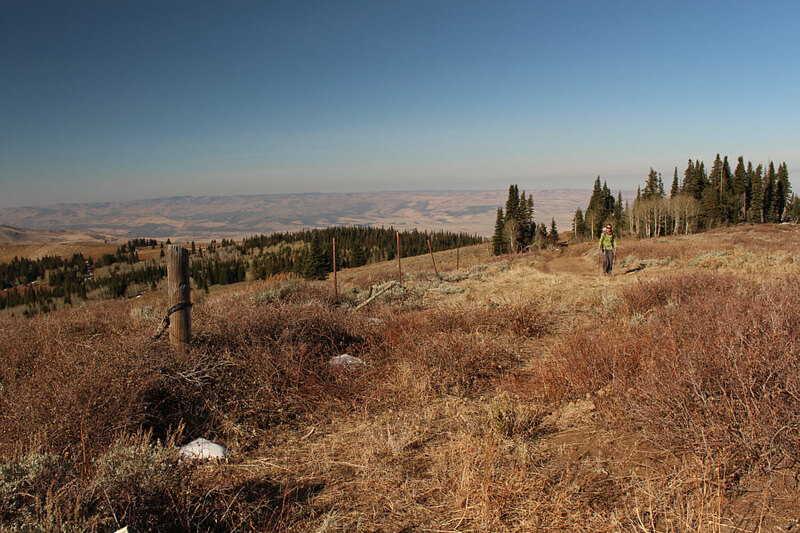 Here is a view of the ridge used by the access road. Sonny's car is parked somewhere on the ridge at centre while the trailhead is near the edge of the forest at right. To the north, Mount Independence is barely visible beyond the trees at far left. At right is Mount Harrison. Jim Sage Mountains are directly east of Cache Peak. 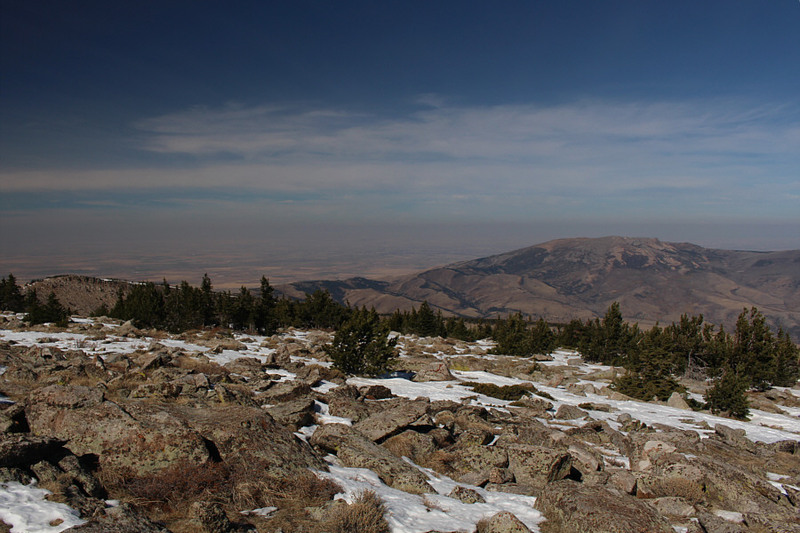 Also visible in the distance to the right are Black Pine Mountains. 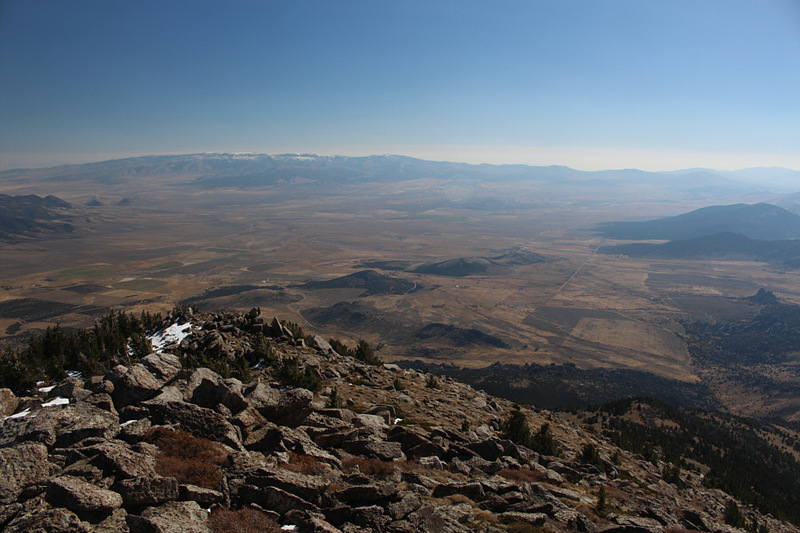 Raft River Mountains of northern Utah are visible on the left horizon to the south. 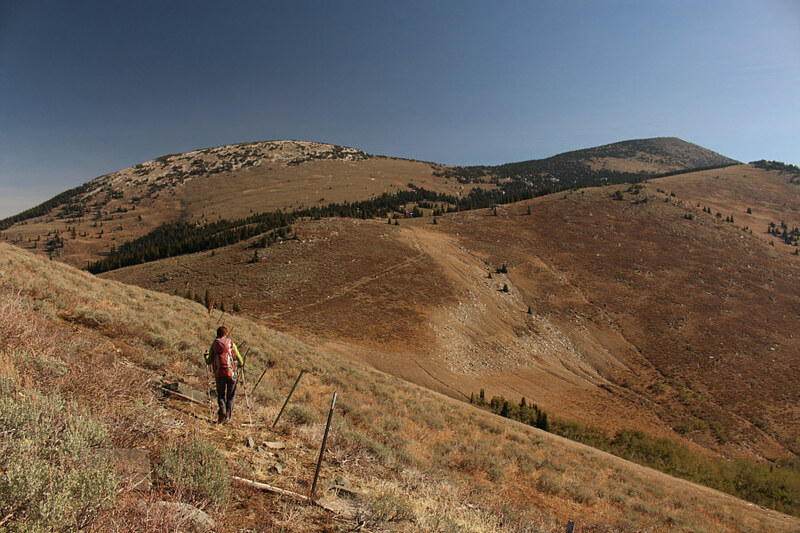 From the top of Cache Peak, Zosia and I descended partway along our up-track before veering off toward the saddle leading to Mount Independence. 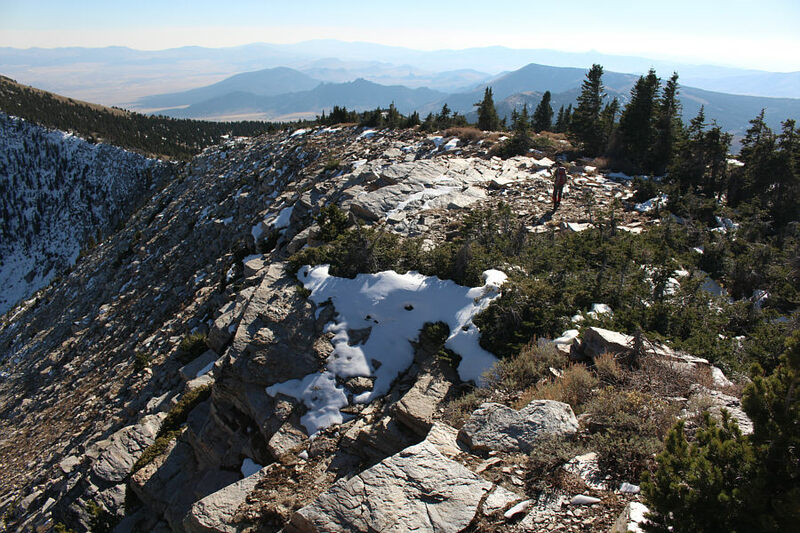 Again, the snow cover made for some route-finding challenges, but we ultimately found ourselves back on dry ground when we reached the saddle. 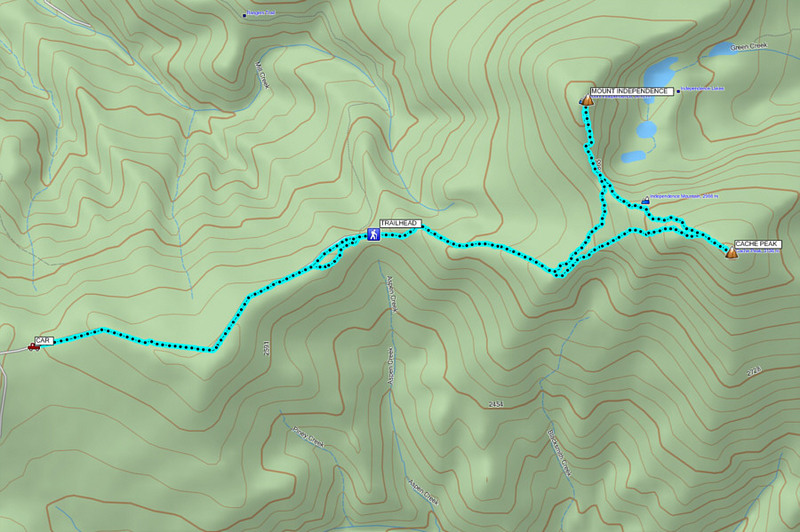 In fact, we regained the trail to Independence Lakes here and followed it briefly until it began dropping down into the basin. 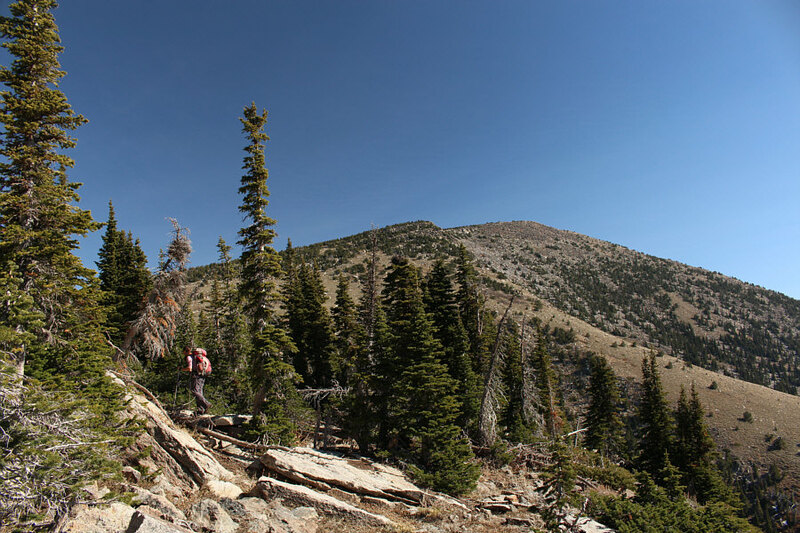 We left the trail at this point and easily scrambled up the dry south ridge of Mount Independence. 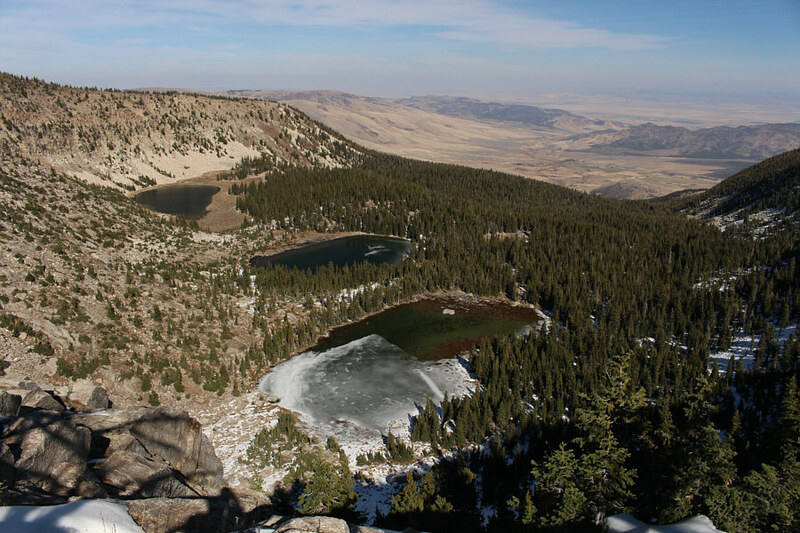 Unlike our ascent of Cache Peak, we had no difficulties reaching the summit of Mount Independence where we took a shorter break before commencing our descent. After backtracking down the south ridge, we picked up the trail once more, and this time, we followed it all the way back to the trailhead. 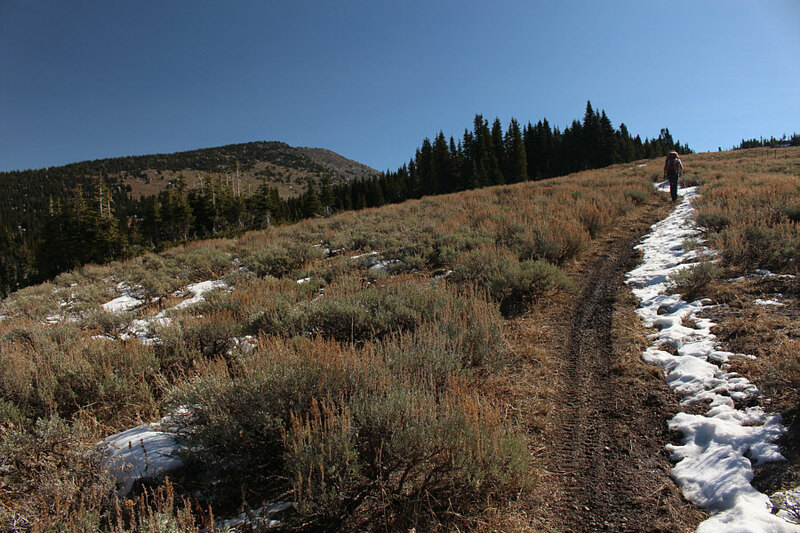 This included a lengthy stretch through the snow-covered section where we initially lost the trail on our way up. 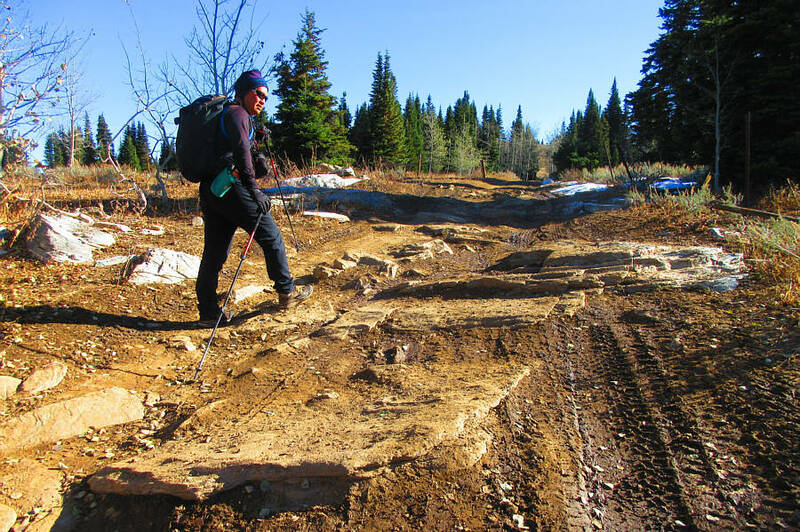 Back on the access road, we had to contend with some muddy and icy sections, but otherwise, our hike to my car was long and unremarkable. This was followed by an equally long and unremarkable drive out. 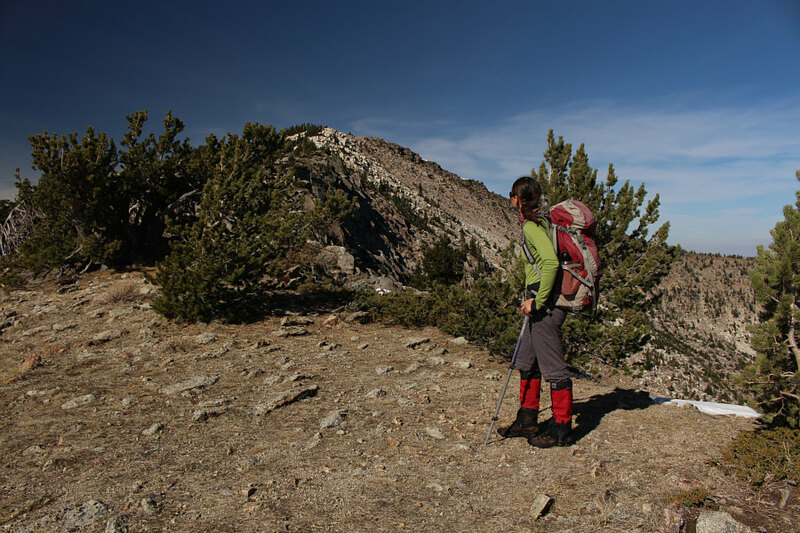 Zosia tries her best to stay out of the trees as she descends Cache Peak en route to Mount Independence. This photo gives a better idea of the amount of snow in the trees on Cache Peak. 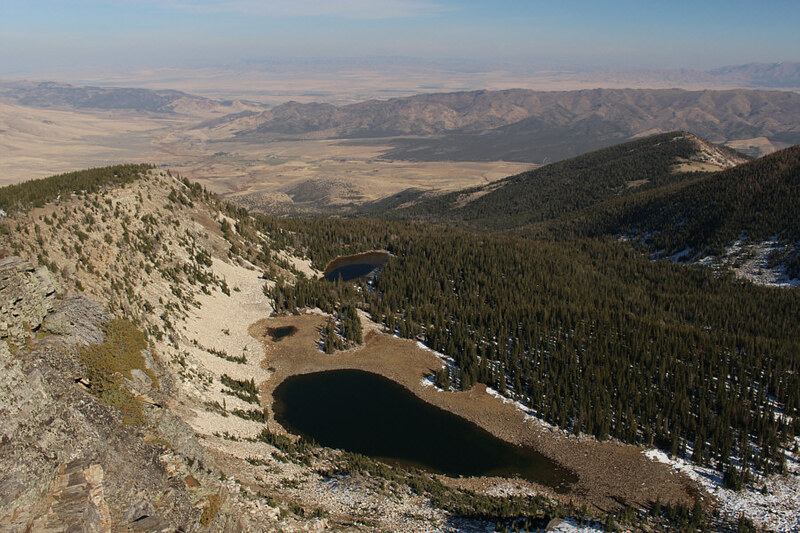 Three of the four Independence Lakes are visible from the saddle between Cache Peak and Mount Independence. From the saddle, Zosia surveys the remainder of the route up Mount Independence. 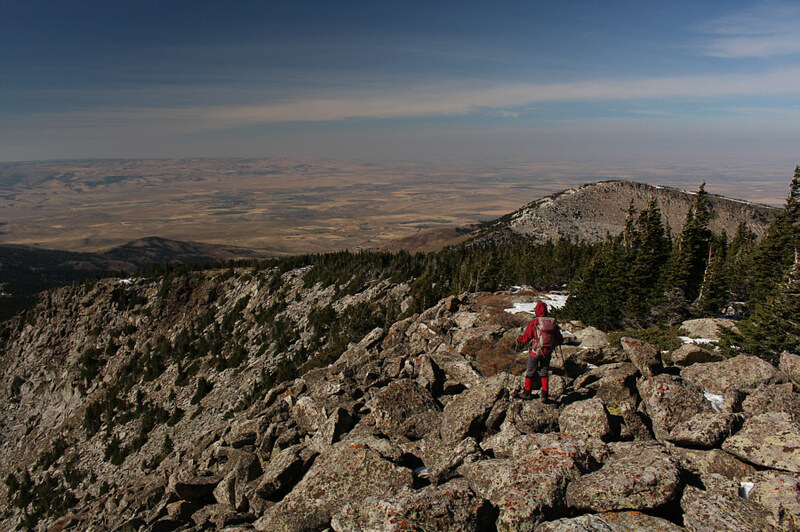 Giant blocks on the south ridge of Mount Independence require a bit of hands-on scrambling. 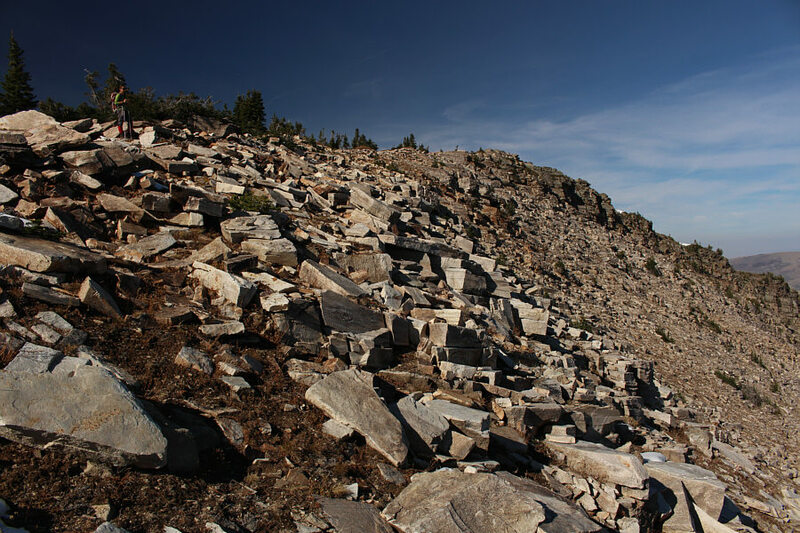 Giant blocks eventually give way to small rocks just before the summit. 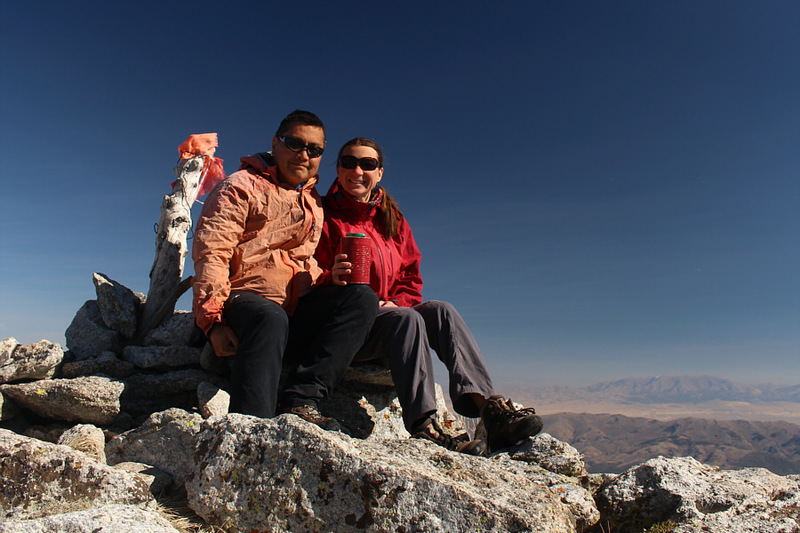 Sonny and Zosia pose on the summit of Mount Independence (3033 metres). 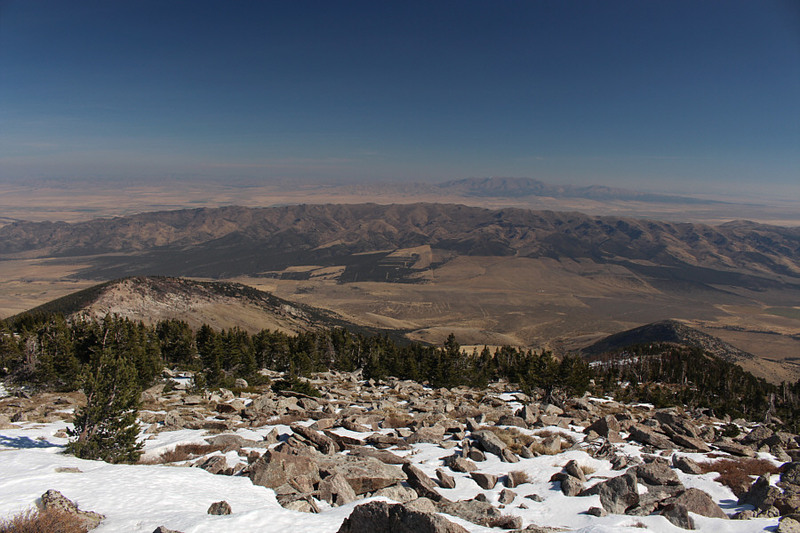 The view of Mount Harrison from the top of Mount Independence is not that much different than the one from the top of Cache Peak. 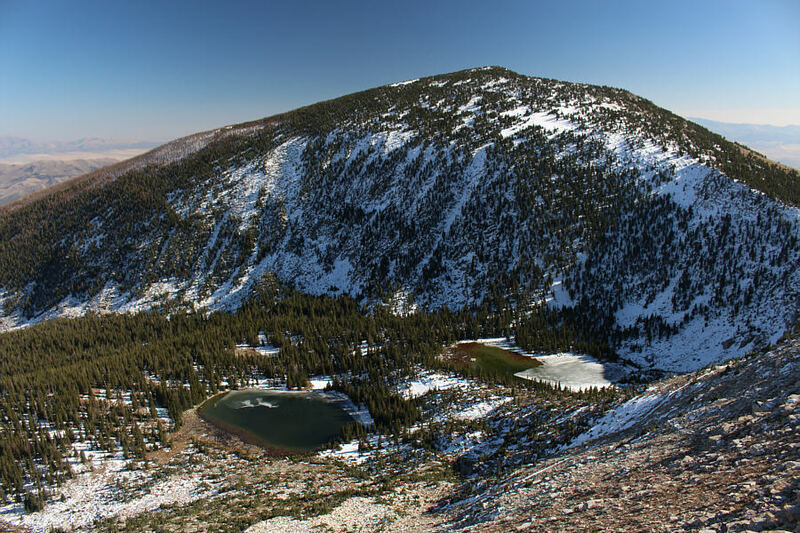 A fourth lake is revealed from the top of Mount Independence. 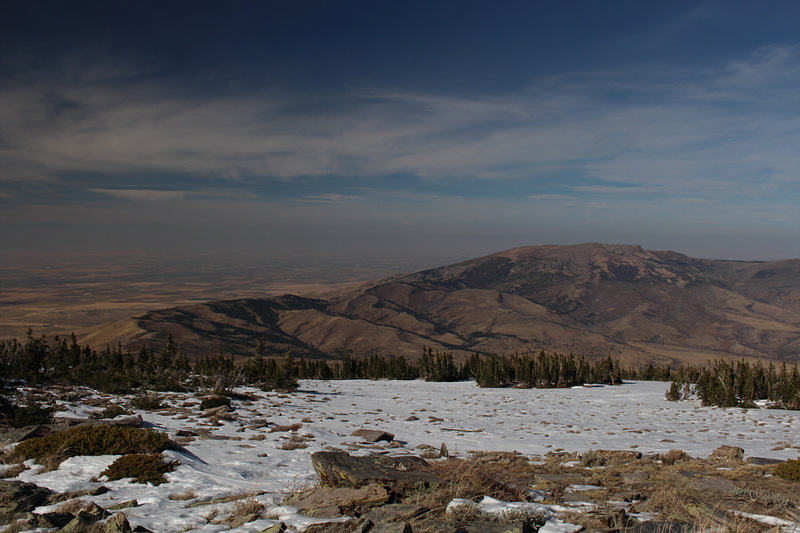 Snow cover on Cache Peak is more obvious from this vantage point. Zosia descends the south ridge of Mount Independence. Back on the access road, Sonny puts his head down and marches with purpose back to his car. 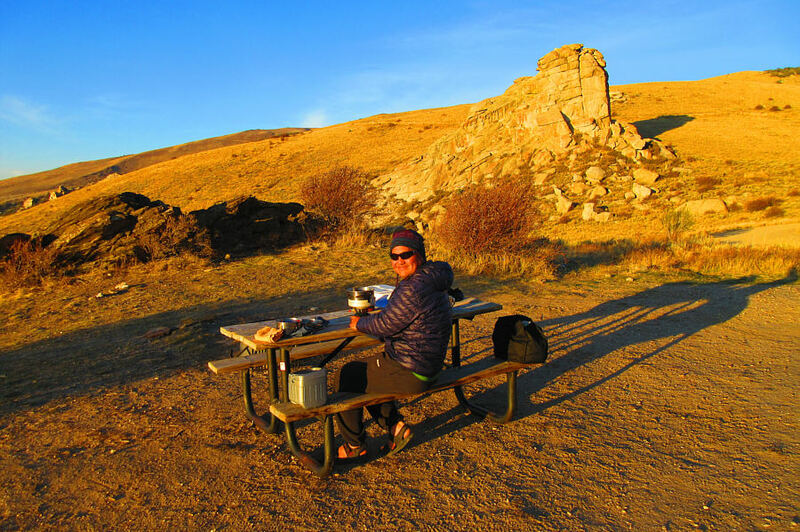 Late in the day, Sonny makes dinner at a campsite beside Finger Rock which is within City of Rocks National Reserve.